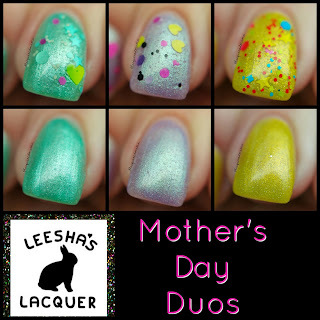 Each Duo has a theme and can be sold in sets or you can purchase all three duos together! 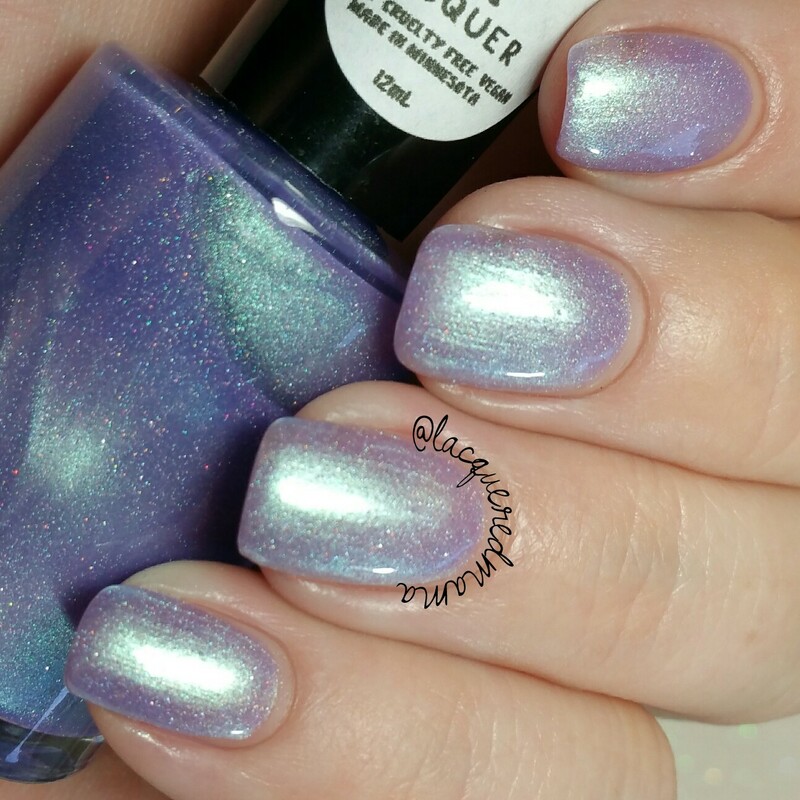 Rad is a frosty lavender with blue micro shimmer! Really pretty! Here I did two coats plus topcoat. Due to the shimmer, you can see some brush strokes, so just be mindful of this during your application. You can also alleviate them completely by sponging on an additional coat. 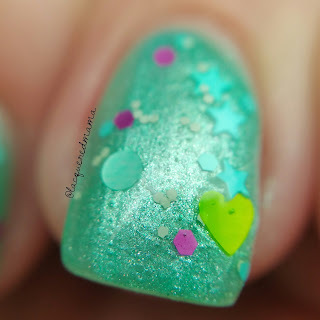 Gnarly is a super fun glitter topper! It is a clear jelly base filled with matte hex, circle and heart glitters in yellow, black, purple and fuchsia! Here I did one coat over Rad! 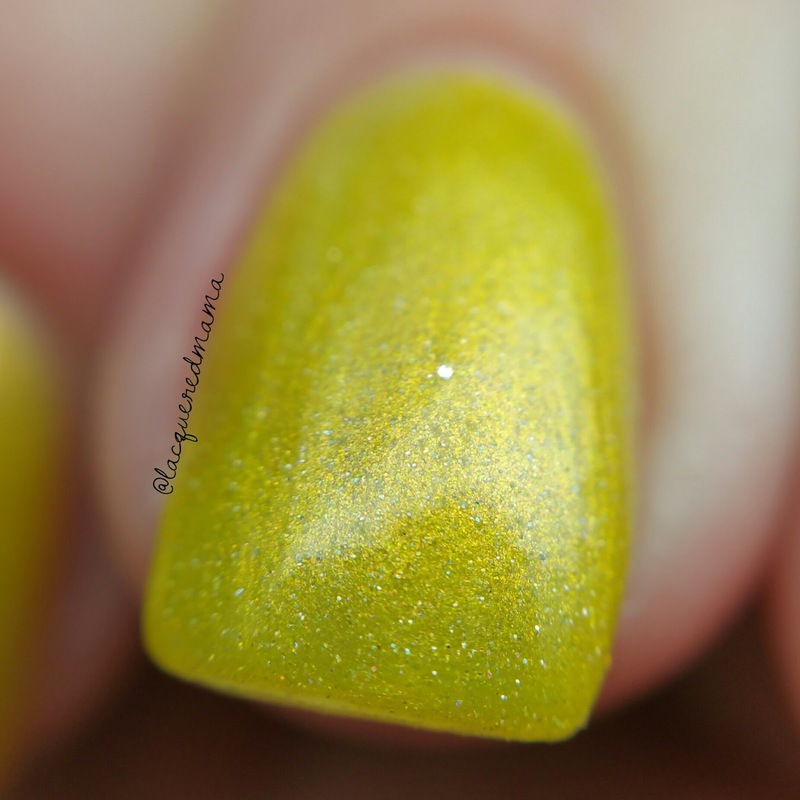 Tight Rope is a slightly frosty yellow filled with silver micro shimmer! I again only needed two coats plus topcoat! depending on your application or how apparent your visible nail line is, you may need to add a third. 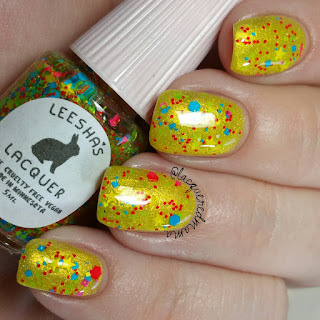 Technicolor Tent is a gorgeous glitter topper! 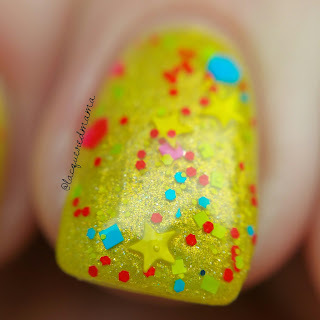 Its a clear jelly base filled with matte hex and square glitters in bright red, blue and yellow; as well as yellow matte stars! Love! This is one coat over Tight Rope! Coastline is an aqua polish filled with silver micro shimmer. This one also shows a bit of brush strokes, so I'd recommend sponging on the final coat. 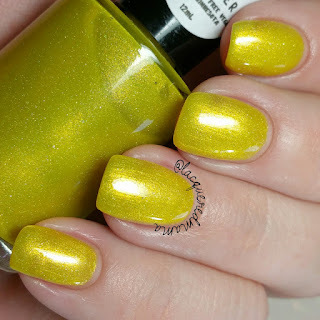 This is two coats plus topcoat! The Mother's Day Duos will be available in their shop on May 2nd! Each Duo will sell for $10 and will include one full size of the solid color and one mini of the glitter topper. You can also purchase all three Duos for $30. 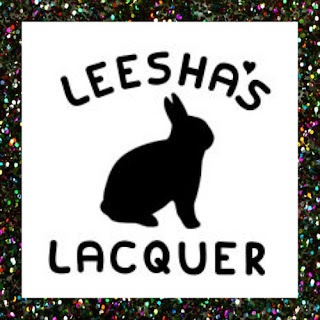 Be sure to follow Leesha's Lacquer for more info and exact release time! The glow is Rad is lovely!